La’Mer clinic is a centre for dermatology, cosmetology, trichology. 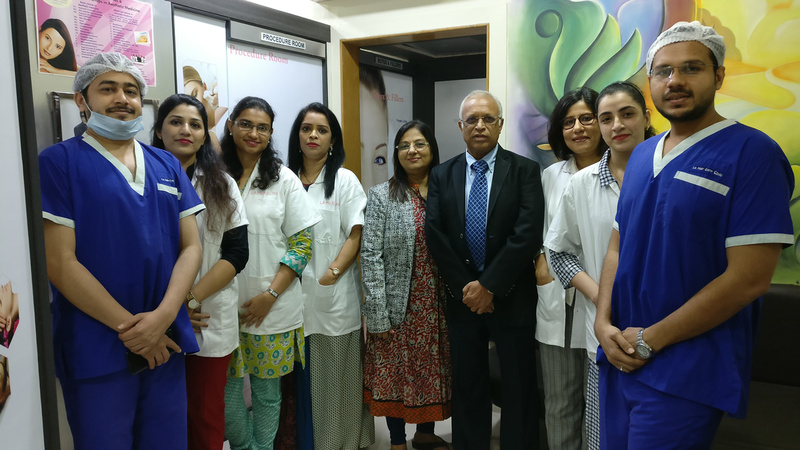 It was established by internationally renowned Prof. Dr. D. G. Saple along with a team of highly qualified and experienced doctors. La’Mer offers all advanced skin, hair, nail treatments & aesthetic (cosmetic) services under one roof. The centre is well equipped with all advanced diagnostic tools, therapeutic equipments & laser machines for pigmentation, hair reduction(removal), scar correction, tattoos and body contouring (sculpting), lipolysis, rejuvenation (Facelift & Fillers), Hair regrowth laser, Hair loss therapy, hair transplant and Nail disorder correction. Medical management and non-surgical treatment options like Mesotherapy, Microneedling, Platelet-Rich Plasma (PRP) therapy, Scalp Micropigmentation (SMP), Laser (low-level Laser) and Light Therapy, Electroporation, Hair Restoration (peptide) Therapy is available at La Hair Care Clinic.